"One of America's finest horror writers" (Time magazine), Joe Hill has been hailed among legendary talents such as Peter Straub, Neil Gaiman, and Jonathan Letham. 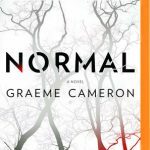 In Strange Weather, this "compelling chronicler of human nature's continual war between good and evil" (Providence Journal-Bulletin), who "pushes genre conventions to new extremes" (New York Times Book Review), deftly expose the darkness that lies just beneath the surface of everyday life. 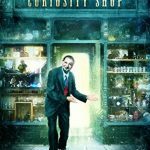 Snapshot, performed by Wil Wheaton, is the disturbing story of a Silicon Valley adolescent who finds himself threatened by The Phoenician, a tattooed thug who possesses a Polaroid Instant Camera that erases memories snap by snap. A young man takes to the skies to experience his first parachute jump...and winds up a castaway on an impossibly solid cloud, a Prospero's island of roiling vapor that seems animated by a mind of its own in Aloft, performed by Dennis Boutsikaris. On a seemingly ordinary day in Boulder, Colorado, the clouds open up in a downpour of nails - splinters of bright crystal that shred the skin of anyone not safely under cover. Rain, performed by Kate Mulgrew, explores this escalating apocalyptic event as the deluge of nails spreads out across the country and around the world. In Loaded, performed by Stephen Lang, a mall security guard in a coastal Florida town courageously stops a mass shooting and becomes a hero to the modern gun rights movement. But under the glare of the spotlights, his story begins to unravel, taking his sanity with it. When an out-of-control summer blaze approaches the town, he will reach for the gun again and embark on one last day of reckoning. 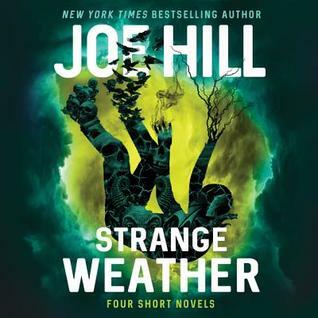 Joe Hill is brilliant and the Strange Weather collection is perfect for those wanting a sampling of his works. For fans, it is the perfect appetizer as we wait for his next release. 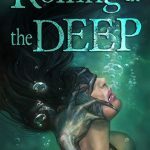 With subtle political messages relevant to today’s headlines Hill pulls the reader in with his addictive and thought-provoking, horror-laced tales. Just finished this one and I really loved it. I think it’s going into my favorite reads of 2017. Great review! Happy to hear that Rebecca. I listened to Fireman otherwise this would have made my top ten audio list. I bought a signed copy for my daughter for Christmas. She loves Joe Hill: Horns is her favorite book. I read The Fireman earlier this year and enjoyed it. I love Kate Mulgrew’s voice, so I’d probably enjoy listening to the last story for sure. I finished this one this week and really enjoyed it! Loaded was haunting and didn’t really expect that one, the others fit more of the ‘Joe Hill’ image I have, but I think it was my favorite as much as it made my stomach turn. I love Wil Wheaton and Kate Mulgrew. Wil is a lot of fun, and Kate has one of those perfect voices for stories. I really need to try one of Joe Hill’s books. I always hear such great things about them. 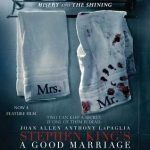 Glad to finally see a review for this one. I usually dislike short story collections. I am happy to see you enjoyed this one! I may have to pick this one up. I have been wanting to read more from Joe Hill and I like the fact that each story has a different narrator. Glad you enjoyed it! I really want to read more by Joe Hill, including this one, so I’m really glad to hear you liked most of the stories! I’ve read Horns and his Locke and Key graphic novel series – both very good! I liked this too. The last was definitely my favorite. I’ve only read one book by him but I do want to try more. This sounds like a brilliant audio and love the narrators too! I’m fond of anthologies. They’re a chance to read several stories in one setting. Thanks for the post. You really have me wanting to try this one. I do love Joe Hill. I’ve tried a few from him (NOS4A2, on your recommendation, The Heartshaped Box, The Fireman). I’m really excited to try more from him. I didn’t realize this was an anthology. I’ll have to get myself on the list for this audiobook at the library. Great review. I have just realized that I have never read any horror story! Wow, that’s crazy, I thought I have tried all the genres. Oh well, maybe I should start with this one, sounds exciting! Oooh, these sound really good! I’m glad that you enjoyed them. Glad you liked it. Looks like it will be another to add to the list. The well-hidden connection between this author and his father, Stephen King, never seems to come up that much. I just found a side-by-side picture of the two. I haven’t read this author yet…but maybe I will start with a collection of short novellas, like this one. Thanks for sharing. Love the sound of these stories. And I do love a good horror. I keep reading to try this author but for some reason (ok…the reason is I have too many books! lol) I haven’t gotten to him yet. Ooh, these stories sound interesting although when my reading material contains political messages, subtle or not, I get turned off the book. He does well, in that he makes you think rather than force one view or the other. These stories do sound interesting. I am glad you enjoyed them all. Four rather apocalypse type stories. Nice to see how it ends.